Being president of Costa Rica isn’t what it used to be. 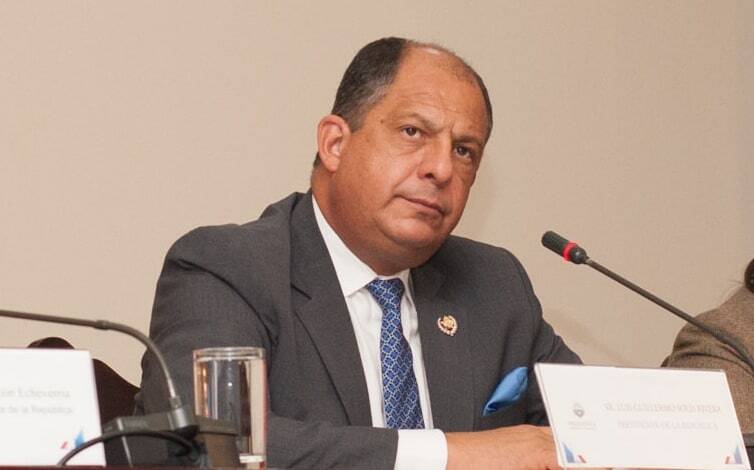 The official State of the Nation Program put out a bruiser of a report Tuesday that said President Luis Guillermo Solís’ administration lacks the political clout to move its priorities through a fractured legislature. The Solís administration has been the least effective at getting new legislation passed of any government in the past 25 years, according to the report, which is put out by the leaders of Costa Rica’s public universities. The administration proposed 315 bills during the 2014 extraordinary session, when the administration sets legislative priorities, but only got eight passed – a 2.5 percent success rate. The report compared those numbers with the 1994-1995 legislative session, when José Figueres Olsen was president of Costa Rica. During that session, the legislature passed 34.6 percent of the Figueres administration’s proposed bills. The report also criticized the current legislature, calling out the Legislative Assembly and its mosaic of political parties for low performance. Politics aside, the report said homicides, unemployment, public demonstrations and inequality were all up in 2014 compared to the last several years. Casa Presidencial, responding to – but not denying – the assertion that the president has little sway in the legislature, said that the Solís administration was faced with “unprecedented” circumstances. “Never before has an administration had such a small ruling party faction that also happens to be in the most fragmented Assembly in the history of Costa Rica,” the statement said. The president’s office also took issue with the report’s statement that 2014 saw 587 public demonstrations, the highest number in the last 22 years. The administration said that the protests were in reaction to the out-going Laura Chinchilla (2010-2014) administration, and noted that Solís didn’t take office until May 2014. The report acknowledged that the majority of protests occurred during the end of the Chinchilla administration and “slightly” dropped off after Solís took office. Still, the president has struggled with several large demonstrations against his government – from public sector unions, teachers, dockworkers and private car service drivers. The report also addressed the spike in homicides in recent years. Homicides were up 16 precent last year, from 411 in 2013 to 477 in 2014, according to police figures cited by the report. This raised the country’s homicide rate to 10 per 100,000. The State of Nation report said the dismantling of the El Indio crime ring led to a wave of violence as criminals battled for territory in the resulting power vacuum. San José has seen the most homicides of any canton, followed by Desamparados and Limón. Poverty increased 1.7 percent between 2013 and 2014, reaching 22.4 percent of the population; Extreme poverty remained at roughly 6.7 percent. Costa Rica’s inequality measure, the GINI index, dropped 1 percent but remained at a “rather high” 0.516, according to the report. Job growth will likely lag behind economic growth — even under ideal economic conditions — for the period 2015-2021. More young people are graduating high school, the report found. Correction: An earlier version of this story incorrectly stated that unemployment, under the most optimistic forecasts, could reach 4 percent for the period 2015-2021. That figure is incorrect. The text has been changed accordingly.